How do I login to edit my Giving Day profile? 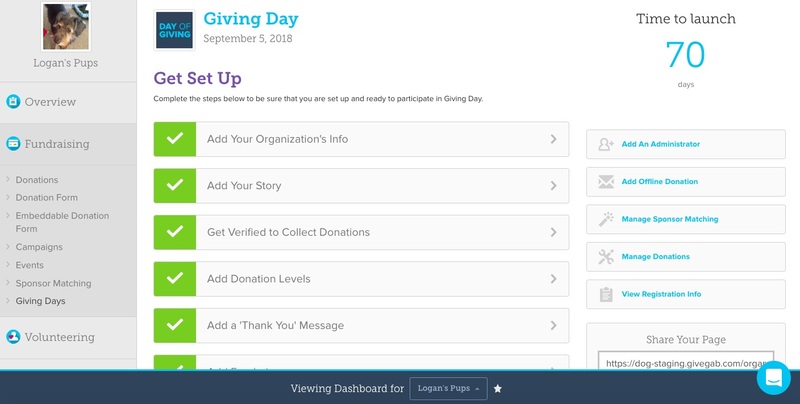 At the top of your Giving Day website, there is a drop down "MENU". Select that link, and scroll to and select "LOG IN". If you're not already logged in to GiveGab, you'll be prompted to log in to GiveGab. Once you log in, you'll land on your Giving Day Dashboard to edit your Giving Day profile on GiveGab.